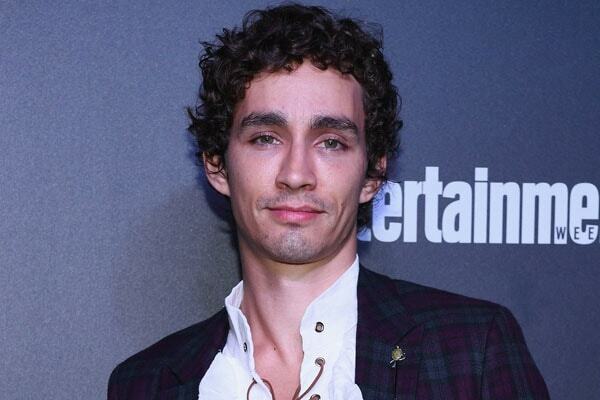 What Is Robert Sheehan's Net Worth - Salary From "The Umbrella Academy"
The handsome Irish actor Robert Sheehan’s net worth is estimated at $2.5 million. He is prominent for his television roles in Misfits, Love/Hate, The Umbrella Academy, as well as film roles in Song for a Raggy Boy, Killing Bono, The Mortal Instruments: City of Bones, Mortal Engines. For his aspiring roles and performances, Robert has been honored and awarded by multiple Irish Film and Television Award and BAFTA nominee. Besides that, people are still confused about Robert Sheehan’s sexuality and wondering who his girlfriend might be. As stated earlier, the multitalented actor from The Umbrella Academy, Robert Sheehan’s net worth is estimated to be $2.5 million. Since the actor has been playing in numerous popular television shows and starred in films, he has earned both name and fame from the shows and the movies. Robert Sheehan earns his great fortune from his acting career. Image Source: RTE. Robert Sheehan began his cinematic debut from the 2003 movie Song for a Raggy Boy. Since 2003, Robert has starred in multiple films. Among them some of Robert’s notable movies are The Mortal Instruments: City of Bones, Mortal Engines, Killing Bono, Song for a Raggy Boy. Alongside the movies, Sheehan has been playing several television shows. He began to appear in television shows from the 2004 Australian adventure, family and fantasy TV show Foreign Exchange. From 2004 to 2018, Sheeran has played in various television series including Young Blade, The Clinic, Rock Rivals, Misfits, Love/Hate. Sheehan can be seen in the 2019 Netflix’s series The Umbrella Academy playing as Klaus Hargreeves. Actress Ellen Page is also one of the prominent characters of the show who has an estimated net worth of $14 million. Since it’s the very first season of the series, information regarding the cast member’s salary have not been revealed as of yet. But looking at Robert’s popularity and skills, he surely must take home a grand sum of money per episode. And with his popular face across the world, Robert Sheehan has made a good fortune from popular shows and movies worldwide. Besides TV and film roles, Sheehan has also appeared in fashion shows. His posts on Instagram shows he had participated in fashion shows and premiers in Los Angeles, Milan-Italy. His love towards the fancy and designed outfits shows that he is a fashion follower too. Sheehan was in a relationship with his ex-girlfriend Sofia Boutella, a French Algerian model and actress, whom he started dating in 2014. The ex-couple went on to part ways in 2018 after four years of a romantic relationship. The talented Irish actor currently lives in London. Robert Sheehan’s net worth and good fortune from the acting career has enough to afford his lavish lifestyle.